[SatNews] The radiation belts surrounding are layers of energetic charged particles held in place by the magnetic field surrounding our planet. This image was created using data from the Relativistic Electron-Proton Telescopes on NASA's twin Van Allen Probes. The image shows the emergence of a new, third, transient radiation belt. The new belt is seen as the middle orange and red arc of the three seen on each side of the Earth. A new third belt occurred recently, but only occasionally, and persisted for as long as a month. This revealed to scientists the dynamic and variable nature of the radiation belts and provided new insight into how they respond to solar activity. "The primary science objective of the Van Allen Probes is to provide understanding of how particles in the radiation belts form and change in response to energy input from the sun," said mission program scientist Mona Kessel at NASA Headquarters in Washington. "The discoveries and understanding gained have far exceeded expectations." The Van Allen Probes, each weighing less than 1,500 lbs, were specifically designed to withstand and study the harsh radiation belt region around Earth. 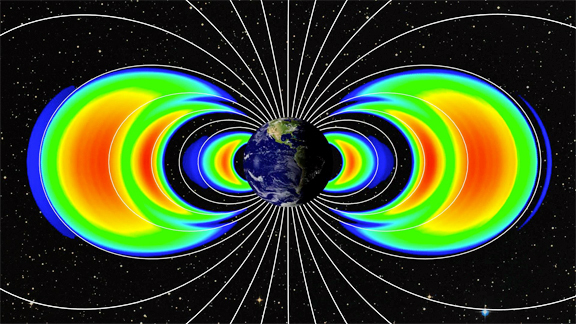 The belts are critical regions that have a connection to Earth’s atmosphere and space-based technologies and are affected by solar storms and space weather events. As a result, the belts can swell dramatically. When this occurs, they can pose dangers to communications and GPS satellites, as well as astronauts who may be in LEO. The Van Allen Probes are the second mission in NASA's Living With a Star (LWS) Program to explore aspects of the connected sun-Earth system that directly affect life and society. 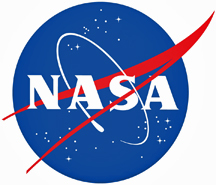 LWS is managed by the agency's Goddard Space Flight Center in Greenbelt, Maryland. APL built the spacecraft and manages the mission for the agency’s Science Mission Directorate in Washington. Formerly known as the Radiation Belt Storm Probes, the mission was renamed Van Allen Probes in November 2012 in honor of Dr. James Van Allen, who discovered the two radiation belts in 1958.